Fuji PROVIA 100F. 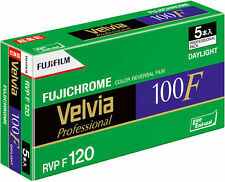 This is for ONE 120 film of Fuji Provia 100F. 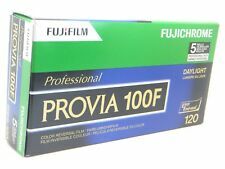 Provia provides super-fine Grain, Vivid faithful colour and tone reproduction, and has excellent tolerance for push/pull processing. Condition is New Other Outdated 2004 - 01 but has been refrigerated. 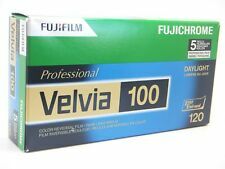 FujiProvia 100F 120 Roll Colour Reversal Slide Film. Superb grain quality, vibrancy and resolving power. May not have box. 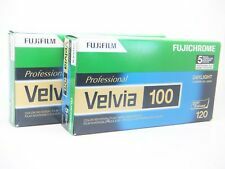 Fuji Provia 100F Professional RDP III 120 Roll Slide Film. Format : 120 Roll Slide film. The finest granularity of any 100 ISO film in the world. © is based in Romford East London. Smooth, rich and detailed rendition of tones and colours. Sharper than many 25 ISO rated films. Format : 120 Roll Slide film. © is based in Romford East London. The finest granularity of any 100 ISO film in the world. Smooth, rich and detailed rendition of tones and colours. Sharper than many 25 ISO rated films. Colour slide film Processing not included. It's good for a wide range of applications, such as product, landscape, nature and fashion photography and portraiture. Super Fine Grain and High Sharpness. FUJI FUJICOLOR SUPER HR 100 EXPIRED. EXPIRED 1991. LOMOGRAPHY FILM. Model: Neopan Acros 100. 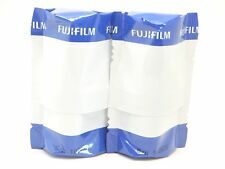 Film Color Type: Black & White Prints Film. ISO Range: ISO 100. 100% offizielles echtes Produkt. Very Good : Heavy markiert aber funktioniert ok. Excellent : Zeichen von mäßigem Gebrauch zeigen. FUJI PROVIA 100 F slide FILM of the latest generation. Serie Provia. 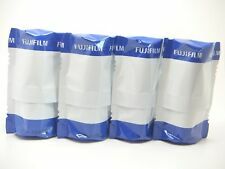 Marke Fujifilm. Filmformat 120 Slide. 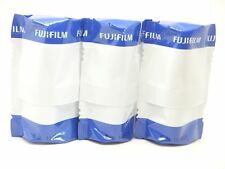 5 piece rollfilm 120 100 ASA. Product model number: 120 PROVIA 100 F EP NP 12 EX 5. 100% official genuine product. Junk: No works For Parts. Very Good: Heavy marked but works ok. Excellent: Show signs of moderate use. Excellent : Show signs of moderate use / or slight signs of use. Fuji PROVIA 100F. Provia provides super-fine Grain, Vivid faithful colour and tone reproduction, and has excellent tolerance for push/pull processing. Suited to a wide range of applications, such as product, landscape, nature and fashion photography as well as portraiture. 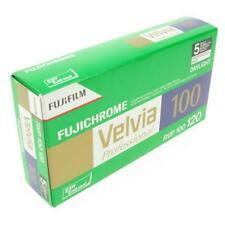 Color Reversal 120 Film (5 Rolls). Film Type : Positive. 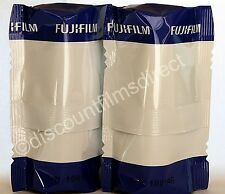 Color Reversal 120 Film (2 Rolls). Suited to a wide range of applications, such as product, landscape, nature and fashion photography as well as portraiture. Film Type : Positive. Rugged shock resistant shell.